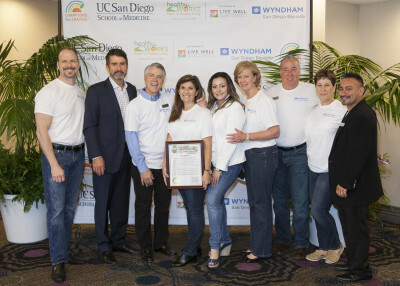 Wyndham San Diego Bayside became the first designated Live Well San Diego hotel on May 22, 2015 by making the healthy choice the easy choice for their employees and hotel guests. Wyndham San Diego Bayside has been successful in creating a culture of health for its employees and their families since launching its Wyndham Wellness initiative. Launched in 2013 in partnership with UC San Diego-Center for Community Health Live Well @ Work, Wyndham’s wellness programming focuses on establishing workplace environments that support healthy eating and active living with particular focus on low-wage employees. Wyndham strives to reduce employees’ risk for chronic diseases caused by poor diet or lack of exercise, aligning its worksite wellness goals with those of Live Well San Diego. The mission of the Wyndham Wellness initiative goes beyond building better health and also focuses on social connection, with employee engagement being a priority within every level within the company. The initiative has become an integral component of the company’s organizational structure, creating a healthy and happy work environment in an effort to maintain employees as long-term, valued talent. Overall, the culture of health and wellness within Wyndham has dramatically shifted, as evidenced by a high-level of participation in the wellness program. Additionally the wellness initiative improved employee morale and productivity significantly since inception as self-reported by Allison Owen, Human Resource Director for Wyndham San Diego Bayside. There was a higher level of reported engagement and expressed interest in new programs to maintain healthy and active lifestyles. In order to effectively plan and implement these successful wellness strategies, Wyndham convenes a wellness committee on a monthly basis. The committee has strategically focused on select initiatives, including Health, Community, and Green initiatives. Their Health initiative focuses on establishing workplace environments that encourage healthy behaviors, and providing employee wellness education. Wyndham strongly believes in changing their internal policies and practices in order to make sustainable changes within their organization. The Wyndham Wellness committee spearheaded the adoption of a Healthy Meeting Policy to provide their associates with nutritional food and beverage options during work-sponsored meetings, events, and celebrations. Instead of offering cookies and soda, Wyndham now provides their employees with whole fruit, vegetable platters, and fruit-infused spa water. Collaborating with their Executive Chef, Wyndham also redesigned its cafeteria menu options to feature local fruits and vegetables at the salad bar and low-fat entrée and side dishes. In the employee break room and cafeteria, a wellness board prominently showcases free community events, healthy recipes, and wellness newsletters. Wyndham is in the process of adopting a lactation accommodation policy with support from the UC San Diego-Center for Community Health Lactation Supportive Environments initiative that will be executed through its corporate offices, influencing more than 100 hotels throughout the nation and thousands of employees and hotel guests annually. 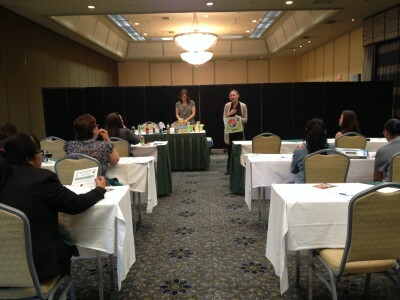 Wyndham Wellness supports employee education by providing regular “lunch & learn” sessions on topics chosen by employees, including diabetes prevention, healthy cooking on a budget, and mindfulness. Additionally, Wyndham co-hosted annual associate health fairs with UC San Diego featuring on-site biometric/preventative screenings, fresh produce donations, CalFresh screenings, healthy recipe demonstrations, and numerous community resources. Wyndham employees are provided with regular free physical activity opportunities through the popular Friday Fitness Club. 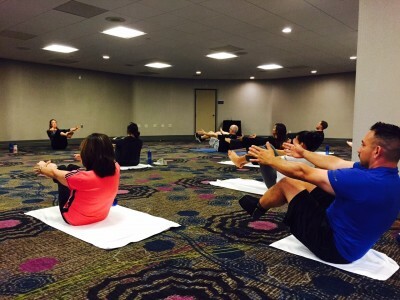 Each Friday, different associates or fitness professionals host 60-minute fitness classes which include boot camp, Pilates, Zumba, yoga or simply jogging to the San Diego Convention Center and back. These fitness classes were free of charge and well-attended. In conjunction with its Fitness Club, Wyndham initiated a Wyndham Walking Club with established walking routes surrounding the beautiful bayside hotel. Another emphasis of Wyndham Wellness is the focus on Community initiatives. Wyndham participates in charity and health walks each year. Wyndham strongly believes in keeping the hotel and surrounding community as environmentally sound as possible through their Green initiatives. Wyndham employees participated in the Big Bay Clean-Up. They continue to partner with local energy and waste-management groups to become more energy efficient and reduce their carbon footprint. Wyndham Wellness continues to be successful in creating a culture of health for employees and hotel guests. Wyndham integrated the Live Well San Diego initiative into their overall wellness program’s mission with the new tagline of “Be Well, Live Well, Serve Well.” A flag now proudly waves outside the hotel displaying this message. 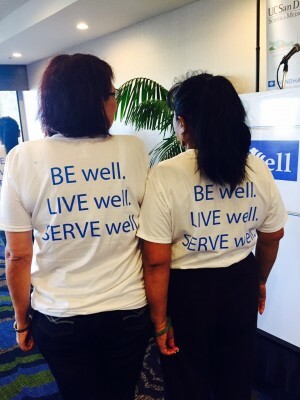 The Live Well San Diego designation served as the first step in encouraging hospitality-industry businesses in the region to model their wellness efforts after Wyndham San Diego Bayside. For CalFresh information, call 2-1-1. Funded by USDA SNAP-Ed, an equal opportunity provider and employer. Visit www.CaChampionsForChange.net for healthy tips.